Chandigarh, December 5, 2018. The Bar Association of the Armed Forces Tribunal Chandigarh today honoured Sh. Satya Pal Jain, Additional Solicitor General of India, in the premises of the Armed Forces Tribunal Chandigarh, for his services to the Legal Fraternity. He was offered Bouquet and Memento on behalf of the AFT Bar Association. Sh. Satyawan Ahlawat President and Sh. 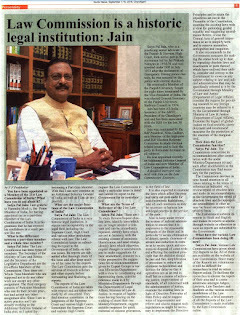 Munish Bali Vice President of the Bar appreciated the efforts of Sh. Jain in solving various issues concerning the advocates. They said that Sh. Jain by visiting various Courts in the country and especially by representing Sh. 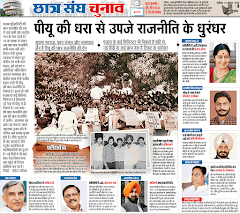 Narendra Modi the Prime Minister of India in Allahabad High Court, and getting the case against him dismissed, has brought honour to all the members of Legal Fraternity in Chandigarh. Sh. Jain while thanking the members of the Bar Association for honouring him, said that the love and affection of the people of Chandigarh is and has been his biggest strength and he hopes that he will continue getting it in future also. Replying to the compliments by some members of the Bar that he should be their representative in Parliament in coming Loksabha Elections, Sh. Jain said that in BJP such decision are taken by the Party High Command after considering various factors and not by the individual himself. 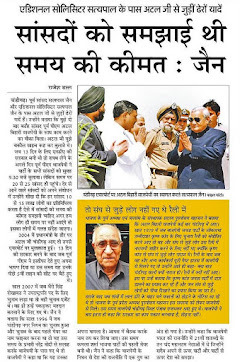 He said that whenever the party High Command asked him to contest elections from Chandigarh, he contested, and whenever the party said that he should not contest, he did not contest.